One of the top Google Inc. app “Google Maps” today released a new Car parking feature – Which will now helps you to save the parking location of your car. 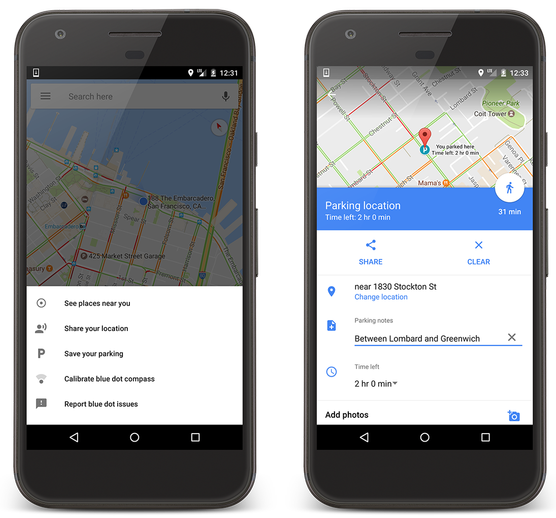 The Beta version of Google maps car parking feature was first launched in March 2017 for Android devices. Today, the feature went live on all the iOS and Android versions. If you are using an Android device you just need to tap the green button on your Google Maps application. After selecting you need to tap “Save your parking” feature of the app; which will drop a pin at the location of your parked car. Google Maps App. Car parking feature is now live. Those who are using iPhone’s also have to follow similar steps to activate the feature. If you iPhone is connected with your Car via Bluetooth or even USB. The Google Maps will automatically detect the location of your car when you plug it off or disconnect it from the Bluetooth. Google has been constantly improving on its Google Maps app feature, which is currently the top most app in the world. Google recently also introduced a game on its Google App; which will help its users to kill their time while waiting for their friends after sharing the location.